Rattler 4H Club recently held a Summer Water Safety Program at Falcon Lake. 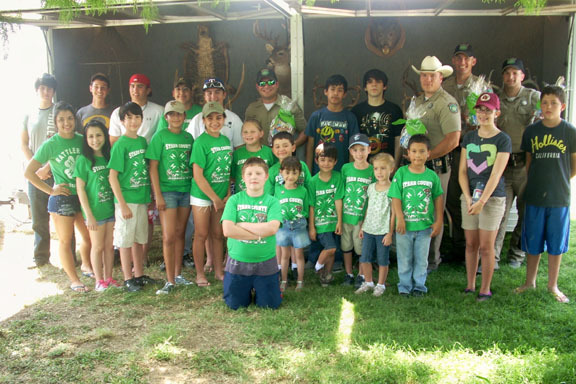 Texas Parks and Wildlife Game Wardens conducted the educational activity. Over thirty Starr county 4H club members attended the program. The Starr County 4H & Youth Development Program would like the thank our local Game Wardens (Dennis Gazaway, Ben Baker, Brandon West, Philip Spencer ) for their generous time and contribution towards the youth of Starr County. For more information about the 4H program please contact the Texas AgriLife Extension Office in Starr County at (956) 487-2306.